In November 2018, astronaut David Saint-Jacques is expected to begin a six-month mission on the International Space Station (or the ISS), making him the tenth Canadian citizen in space. Canada’s early participation in the space community gained the public spotlight on October 4 1957, when scientist John Chapman was among the first scientists to record signals sent by Sputnik 1, the first man-made satellite to reach orbit. Since that time, Canada has sent two state-of-the-art robotic arms (Canadarm and Canadarm2) and many other scientific instruments into space, launched countless satellites, and continues to contribute to ISS activities in various other ways. Although not as old as its American and Russian counterparts, the Canadian Space Agency (or the CSA), which law established in 1990, is the organization leading Canada’s activities in space. This essay argues that the establishment of the CSA marks a significant event in the nation’s history by the importance of its endeavour and by the benefits it provides. Participation on the ISS through the CSA helped Canada develop long-term international relationships with countries like the United States, Russia, and the nations of the European Union. The space sector also provides many direct economic benefits such as 24,000 jobs in 2015. The CSA also represents an investment in the economic opportunities presented by telecommunications, and by potentially lucrative activities such as asteroid mining. The establishment of a government organisation representing Canada’s space activities helps advance the country’s contributions to academia and scientific knowledge, formalizes its commitment to space research and generates public inspiration to explore the final frontier. Canada’s interest in space exploration began long before the official establishment of the Canadian Space Agency in 1990, despite it marking a significant milestone. In fact, historical records demonstrate that the Canadian government supported space research dating to the 1930s, as funding was granted for “rocketry and upper atmosphere exploration”. Such explorations were reinforced after the Second World War by the National Research Council (or the NRC) to enhance space inquiry and solidify data on post-war science policy. After the dissolution of the NRC, Canada’s Defence Research Board (or the DRB) maintained all Canadian affairs in relation to space. Contrary to the NRC, the DRB had new objectives to fulfill. For instance, the board played as a mediator between the Canadian armed services and the civil community. In addition, with the fear of the Cold War approaching, the Canadian government increased its involvement in the development of rockets and space programs designed for defence. The Canadian government continued to be heavily involved in space exploration in the 1950s and 1960s. For instance, in September 1962, Canada launched its first satellite, the Alouette. Although the nation experienced early success, the Canadian government nevertheless struggled to implement an official space policy. As a solution, the Royal Commission on Government Organization suggested the creation of a single space agency, as it was clear that the outcome of the Canadian space program was rewarding. While the idea of a single space agency appeared to be an adequate solution at the time, a new problem arose: how to manage such an ambitious and significant project. Consequently, Telesat Canada and ICS were established in 1969, to supervise satellite communications and administer departmental involvement. In 1974, under the Minister of State for Science and Technology, the very first space policy was initiated in the House of Commons which stated four features: (a) “the use of space applications had to contribute directly to the achievement of established national goals”, (b) “the policy ensured the growth of the Canadian space industry by moving government space research into industry in accordance with a ‘Make or Buy’ policy”, (c) “the policy directed that Canada’s satellite systems must be designed, developed, and constructed in Canadian industry”, and (d) “the policy directed the improvement of domestic space industry to meet domestic needs while continuing to rely on foreign launch services”. Nonetheless, the 1974 space policy did not clearly define or describe national goals, nor did it promote international collaboration. Despite this, the 1974 space policy indicated a civil and domestic interest which altogether initiated further ideas for the Canadian space industry. The CSA was established by the Canadian Space Agency Act, which received Royal Assent on May 10 1990 and came into force on December 14 1990. Andrew B. Godefroy claims that the CSA was created to have a single government body responsible for all future Canadian space exploration. He states that John Larkin Kerwin, who was a renowned physicist, was its first president. 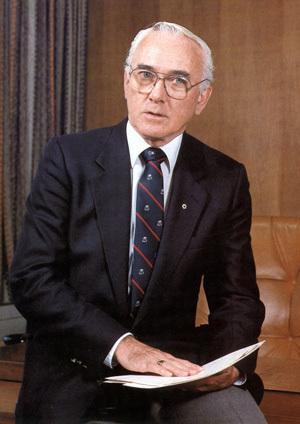 John Larkin Kerwin had previously served as President of the National Research Council of Canada from 1980 to 1985, notes Godefroy, and at the time of his election, he served as President of the Canadian Academy of Engineers, a non-profit organization that provided consultation on engineering matters of national importance. Godefroy explains that for a number of reasons, the federal government decided to build the headquarters of the Canadian Space Agency in St. Hubert, near Montreal, which officially opened on March 1 1989. Karl Doetsch points out that the government Space Station Program Office, therefore, needed to be moved from Ottawa to Montreal in mid-program. The Canadian Space Agency Act states the objects of the CSA are “to promote the peaceful use and development of space, to advance the knowledge of space through science and to ensure that space science and technology provide social and economic benefits for Canadians”. The Act declares that the essential functions of the CSA will be to (a) “assist the Minister to coordinate the space policies and programs of the Government of Canada”, (b) “plan, direct, manage and implement programs and projects relating to scientific or industrial space research and development and the application of space technology”, (c) “promote the transfer and diffusion of space technology to and throughout Canadian industry”, (d) “encourage commercial exploitation of space capabilities, technology, facilities and systems”, and (e) “perform such other functions as the Governor in Council may, by order, assign”. 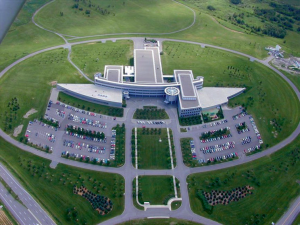 Aerial view of the CSA headquarters in Saint-Hubert, Quebec. The Act then announces the various complementary functions of the CSA, such as to (a) “construct, acquire, manage, maintain and operate space research and development vehicles, facilities and systems”, (b) “assist departments, boards and agencies of the Government of Canada to use and to market space technology”, (c) “make grants and contributions in support of programs or projects relating to scientific or industrial space research and development and the application of space technology”, and (d) “cooperate with the space and space-related agencies of other countries in the peaceful use and development of space”. The CSA was therefore committed to the development and application of knowledge concerning space, for the benefit of Canadians and the rest of humanity. The establishment of the CSA marked a milestone in Canadian History, demonstrating Canada’s commitment to the pursuit of science for peaceful purposes, their commitment to a renewed international cooperation, as well as a desire to provide social and economic benefits to Canadians. As previously mentioned, the Canadian Space Agency Act in 1990 states that the objects of the Canadian Space agency are to “promote the peaceful use and development of space, to advance the knowledge of space through science and to ensure that space science and technology provide social and economic benefits for Canadians”. Canadarm extended over the Space Shuttle Atlantis’ cargo bay on Shuttle Mission STS-125 (2009). After the fall of the Soviet Union in the early 1990s, the Russian space program changed their name to Roscosmos, and then poured the remainder of its dwindling resources into the International Space Station, leading to a new wave of international space cooperation. The foundation of the CSA was a way by which Canada could participate in the international community, along with other countries with space programs such as Japan, and several members of the European Union. The CSA enabled Canada to be a part of the International Space Station program – the crowning achievement of space science today – along with the other countries mentioned above. The CSA has made significant contributions to the ISS and space development in general, leading to further scientific innovations and various benefits for Canadian citizens and the Canadian economy. The CSA developed Canadarm and Canadarm2, two vital components of the space shuttle and the ISS respectively, facilitating in assembly and maintenance of the ISS. The Canadarm has also sent satellites into orbit and retrieved others for repair. In addition to its benefits in space, the Canadarm’s technology has benefited Canadians by making Canada a leader in the development of robotic surgery. The foundation of the CSA is also significant in another way: providing a source of national pride and inspiring a new generation to pursue space sciences. Chris Hadfield was a Canadian astronaut and commander of the ISS for Expedition 35 in March 2013. Throughout his stay aboard the ISS, he liberally used the social media platform Twitter, among others, to broadcast his stay and share photos of Earth from the station. 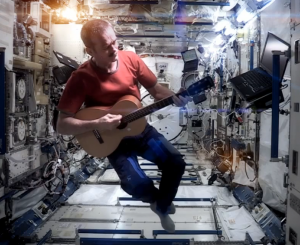 Canadian Astronaut Chris Hadfield performing David Bowie’s “Space Oddity” onboard the International Space Station, 2013. ColChrisHadfield. “Space Oddity.” YouTube, YouTube, 12 May 2013, www.youtube.com/watch?v=KaOC9danxNo. He has accumulated over 2 million followers on Twitter, and his music video shot on the space station of the song “Space Oddity” by David Bowie has accumulated almost 40 Million views on YouTube. The song was also featured in the new Tesla Roadster aboard SpaceX’s Falcon Heavy rocket, but Chris Hadfield’s interpretation of the song is a moment that Canadians are likely to appreciate more. The foundation of the CSA, therefore, had cultural significance, in so far as it inspired millions of people. Canada’s history in space and astronomy is extensive and certainly has had its fair number of peaks and low points. Although the average Canadian citizen is unlikely to know precisely when the CSA was founded, its establishment certainly marks a significant achievement in Canadian history. Therefore, Canadians must recognize its significance as a national establishment, by means of which Canada can connect to the world, and extend itself beyond our planet. We can now conclude that the establishment of the CSA clearly marks a significant event in the nation’s history by the importance of its endeavour and by the benefits it provides. We firstly provided a description of the context for the establishment of the CSA by explaining that the Canadian government began to support space research in the 1930s and that after the Second World War, Canada launched its first satellite into space in 1962 and initiated its first space policy in 1974. We then described this moment that matters by explaining that CSA was established by the Canadian Space Agency Act, which declared the various essential and complementary functions of the CSA, and that the CSA is essentially committed to the development and application of knowledge concerning space, for the benefit of Canadians and the rest of humanity. We lastly explained that the establishment of the CSA is a moment that matters to the history of the nation since it demonstrated Canada’s commitment to the pursuit of science for peaceful purposes, their commitment to a renewed international cooperation, as well as a desire to provide social and economic benefits to Canadians. From innovation in science and technology, to political and economic impacts, to public outreach and educational endeavours, the Canadian Space Agency has undoubtedly carved a space in history for Canada’s legacy beyond the Earth. It continues to do so, and when David Saint-Jacques launches towards the ISS to make his debut in space, many Canadians will surely be watching in awe and with a sense of pride, national or otherwise. Barton, Susanne, and Hannah Recht. “The Massive Prize Luring Miners to the Stars.” Bloomberg.com. March 08, 2018. https://www.bloomberg.com/graphics/2018-asteroid-mining/. Godefroy, Andrew B. 2017. The Canadian Space Program: From Black Brant to the International Space Station, 137. http://public.eblib.com/choice/publicfullrecord.aspx?p=4853819. Canadian Space Agency Act (1990, c. 13), 8. Godefroy, The Canadian Space Program, Introduction xii. Doetsch K. 2005. “Canada’s Role on Space Station”. Acta Astronautica. 57 (2-8). Canadian Space Agency Act (1990, c. 13), 2. Howell, Elizabeth. “Roscosmos: Russia’s Space Agency,” Space.com, January 29, 2018. Accessed April 05, 2018, https://www.space.com/22724-roscosmos.html. Published by boothchristopher on April 6, 2018 at 2:04 pm under Uncategorized.